Assists the Stateroom Attendant in maintaining an assigned section of guest staterooms and corridors, in a clean and orderly manner by performing the following essential duties and responsibilities. Celebrity Cruises expects each shipboard employee to consistently exemplify the principles of the STAR Program's Credo to all team members. In addition, all duties and responsibilities are to be performed in accordance with ISM/ISO and SQM standards, USPH guidelines, Environmental, and Safety policies. Each shipboard employee may be required to perform all functions in various service venues and throughout the ship. It is every employee’s responsibility to conduct oneself in a professional and courteous manner at all times. This consists of physical and verbal interactions with guests or fellow shipboard employees and/or in the presence of guest contact and Crewmember areas. 1. Each housekeeping shipboard employee reports to their workstation assignment on time and properly groomed and dressed according to standards. This includes a clean uniform, nametag, and any other uniform related item. 2. Responsible to work the gangway during embarkation, as required. 3. Follows all daily, weekly and monthly stateroom, bathroom, balcony and corridor cleaning procedures to ensure standards are met; more specifically, cleans bathrooms and replenishes bathroom supplies. Cleans showers, sinks and toilet bowl. Changes towels according to the Save the Waves program. 4. Responsible to clean the balcony and balcony furniture according to the Housekeeping schedule. 5. Provides personalized assistance to guests by following Celebrity’s standards of service and style. Maintains current knowledge of the ship’s regular events and special functions by reviewing all available data, including the daily newsletter, in order to provide guests with accurate information to answer questions. 6. Cleans carpet, upholstery, floors, walls, ceilings, draperies, windows, and room accessories to remove effects of smoke, water and other damage such as dirt, soot, stains, mildew, and excess water and moisture. Sweeps, scrubs and vacuums. Sprays or fogs carpet, upholstery, and accessories with fabric conditioners and protectors, deodorizers, and disinfectants. Dusts furniture. Washes walls, ceiling, and woodwork. Washes windows and door panels. 7. Receives guest’s laundry and dry cleaning and transports to laundry for processing. Returns cleaned laundry to the Stateroom Attendant. 8. Sorts, counts, fold, marks, and carries linens. 9. Notifies Stateroom Attendant of the malfunction of lighting, heating and ventilation equipment. 10. Maintains cleaning supplies and equipment in good working order. 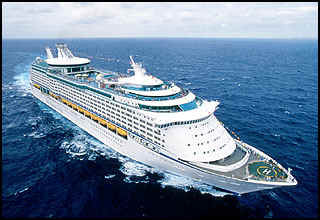 Requisitions supplies and equipment through Stateroom Attendant when needed. 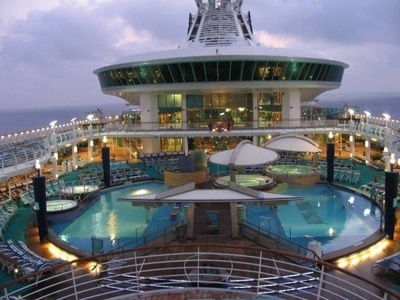 Ensures that work area is free from hazards to guests and other shipboard crewmembers. 11. Empties wastebaskets and empties and cleans ashtrays. Segregates and removes trash and garbage and places it in designated containers. 12. Familiarizes him/herself with all the staterooms collateral material, in order to replenish the Directory of Services folder during disembarkation. 13. Maintains all equipment such as vacuum cleaners, trolleys etc. in proper working condition. 14. Transports guest’s luggage to assigned areas during embarkation and disembarkation. 15. 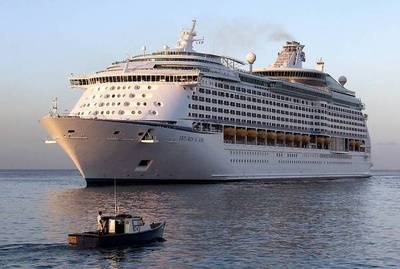 Maintains all equipment such as vacuum cleaners in proper working condition and reports to the Stateroom Attendant any malfunctioning of equipment. 16. Is aware of, and/or acquires the necessary knowledge to comply with the ship’s standard operation, in order to assist guests and crewmembers with inquiries. 17. Attends meetings, training activities, courses and all other work-related activities as required. 18. Performs related duties as required. This position description in no way states or implies that these are the only duties to be performed by the shipboard employee occupying this position. Shipboard employees will be required to perform any other job-related duties assigned by their supervisor or management. Financial responsibilities for budget, expenses and/or achievement of revenue targets. This position is responsible for cost containment through the proper use, handling and maintenance and distribution chemicals, supplies, equipment, stateroom amenities and consumable items. Minimum hiring, language and physical requirements to perform the job. Minimum of one year or one contract previous cleaning experience in an upscale hotel, resort or cruise line (shipboard experience preferred). Knowledge of proper cleaning techniques, requirements and use of equipment. Knowledge of proper chemical handling. Ability to apply customer service skills, according to Company policy, when interacting with guests and coworkers. Completion of a minimum of one contract as a Public Area Attendant with a performance rating of satisfactory or above. Ability to read and write English in order to understand and interpret written procedures. This includes the ability to give and receive instructions in written and verbal forms and to effectively present information and respond to questions from guests, supervisors and co-workers. Ability to speak additional languages such as Spanish, French or German preferred. While performing the duties of this job, the employee is regularly required to stand; walk; use hands to touch, handle, or feel; reach with hands and arms; talk or hear; and taste or smell. The employee must frequently lift and/or move up to 50 pounds. Specific vision abilities required by this job include close vision, distance vision, color vision, peripheral vision, depth perception, and ability to adjust focus. All shipboard employees must be physically able to participate in emergency life saving procedures and drills. Full use and range of arms and legs well as full visual, verbal and hearing abilities are required to receive and give instructions in the event of an emergency including the lowering of lifeboats. Ability to lift and/or move up to 50 pounds.